♫ It’s beginning to look a lot like Christmas! ♫ What a treat we received from the kind folks at Christmas Forest®. They make beautiful, fresh and fragrant Christmas wreaths and we were delighted to receive their Santa’s Favorite Wreath to review. Santa’s Favorite Wreath is handmade and affectionately designed to complement almost any Christmas décor. 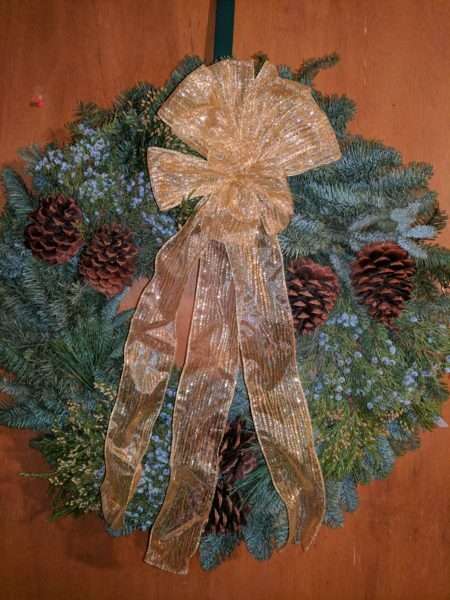 Featuring a beautifully constructed, golden colored ribbon that is fashioned neatly into a magnificent bow, handsome Ponderosa pine cones that are intricately placed against an aroma rich backdrop of Noble Fir and Princess Pine, and sprinkled with delightful juniper berries and delicately fragranced incense, this magical Christmas wreath is certain to be your favorite, too! I know it is one of mine! I am so happy to have received it free of charge to review and can offer you the chance to win one! Thanks Christmas Forest! If you’re entering our giveaways please follow us and our generous sponsors on the social media sites to which you belong. 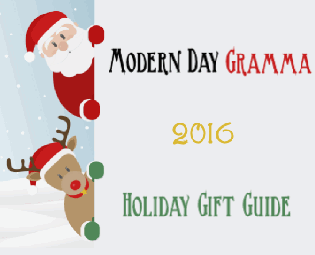 Modern Day Gramma can be found on Facebook, Twitter and Pinterest. You can find more product reviews here. More Holiday Decorating Reviews here. Thank you for taking the time to read my review! I received the product(s) mentioned above free of charge in exchange for an honest review. Each product received for review is treated like we paid for it. Reviews are based on my and/or my family’s personal experience with the item. We are not obligated to give a positive review. We received NO financial compensation other than the product for the review. This disclosure is in accordance with Federal Trade Commission’s 16 CFR, Part 255: Guides Concerning the Use of Endorsements and Testimonials in Advertising.